Gold vermeil necklace. 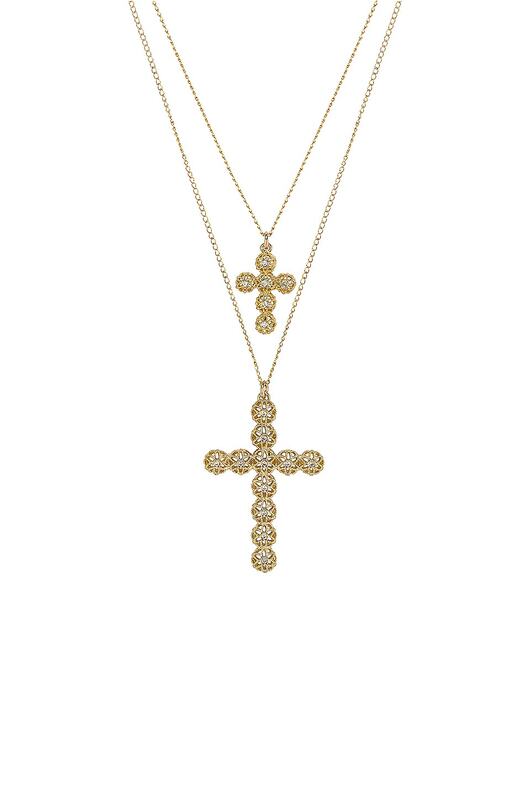 Netted cross design with crystal accents. Lobster clasp closure. Measures approx 18" in length. PADI-WL76. DOUBLE CROSS.